So, it’s been a couple years since I added any new blog posts to this little site, because I’m lazy and write for a living and generally spend my non-writing hours remarking on how much I love my dog/eating cheese/doing anything except writing words. But last month we made a magazine, and it really is worth writing about. Allow me to introduce, A Beautiful Perspective’s HOME Issue. In September, we relaunched abeautifulperspective.com as a digital magazine, dedicating each month-long issue to a single theme and digging into that topic through a wide array of stories and formats. By focusing on a single theme at a time, we get to wade into the delightful muck of a concept, bypassing the obvious angles for more interesting and sometimes important ideas. (Thanks to all our incredible contributors!) By tapping each theme for a live event, we get to produce Activist Mornings, a new concert and speaker series that kicked off in New York with an incredible show featuring Suhaiymah, Jennifer Mendelsohn, Rotana and M.I.A. Click around, check out whatever speaks to you and stay tuned for our next issue, coming soon! And if you’re a writer/photographer/illustrator/video journalist interested in working with us, shoot me an email at sarah@abeautifulperspective.com. So, I’m hanging at my parents’ house in Boston this week, sleeping in my childhood room, sitting on the radiator in the dining room to do work and basically transforming into high school me minus the weird crushes and all-bagel diet. I am one of those people whose rooms are still more or less how they left them. My kitchen apron from summer 2000 at Chimney Corners Camp (Yippie Ai Aides forever!) is still hung over the door. A photo collage of the Newton North gymnastics team is still on the wall. There are framed pictures of friends I haven’t seen in a very long time and a somewhat creepy double exposure photo of 16-year-old me taken by my then-boyfriend (who did not, as it turns out, become a professional photographer). And on the bookshelf next to the bed, I just discovered a true masterpiece: I Can’t be Late!! By: Sarah Feldberg. Yes, I am a published author. Excuse me while I update my LinkedIn profile. I knew we shouldn’t have let it get that far, but I suppose it was inevitable. When you finally see an apartment that just feels right, how can you keep from picturing yourself there, cooking breakfast in the bright, airy kitchen, having a beer in the small back courtyard with petite koi pond(! ), searching for an outfit in the absurdly large closet? When you find the place you start imagining the life you’d lead there. And maybe in the Bay Area—when you’ve been touring “cozy” basement apartments and studios so small you actually laugh upon entry—you fall in love with that life just a little too easily. That’s what happened this week to Tovin and me: We got lucky, we got close and then we got nothing. It’s taken me a few weeks to digest my trip to Boston for this year’s marathon—an undeniably joyous, inevitably sad, wholly inspirational weekend in a city that’s usually just home. As one of Boston’s holiest days turned to chaos and despair last year, I sat on a couch in Las Vegas, riveted and disturbed, wishing I could be there with loved ones and grateful to be far away. I promised myself (and my boyfriend) that this year we would be there. Boston strong. Home sweet home. All of that. When we landed for a long April weekend that would culminate in the 118th running of the Boston Marathon, there was a buzz of energy about the city that I didn’t recognize—a mix of nerves, enthusiasm, pride and fear. The recent tragedy and the town’s gritty resilience echoed in every BAA jacket, every Boston Strong poster, ever lean-legged runner walking the Back Bay in sneakers. Even the mundane carried the weight of meaning. It was, frankly, a bit overwhelming. The day before the race, Tovin, our friend Tristan and I hopped the Green Line to Copley for lunch and a little sight-seeing. Instead of staring into cellphone screens or at the passing homes and tunnel walls, strangers on the train were striking up conversations, swapping marathon stories, and sharing why they’d decided to come or who they were here to watch. The ride felt nothing like a normal trip on the T. It was warm and oddly welcoming, like we were all regulars in some stuffy, chugging coffee shop on rails. By the time I hit the course on Monday morning—mile 21, just past the crest of Heartbreak Hill near my parents’ house—I didn’t know what to feel. So I did what I’ve always done at the Boston Marathon: I cheered, and watched, and marveled, and encouraged. I hugged runner friends who arrived red-faced and beaming, laughed at the military police taking pictures for posing families and screamed my head off when Meb came streaking by on his way to being the first American to take the laurels in decades. And when it was time to go, I finally felt calm. Boston strong. Home sweet home. All of that. G’damn it’s been a while since I touched this site. I’m a slacker. So much so that I’m actually posting a blog here instead of starting to clean my apartment, which I’ve been desperately needing to do. Oy. 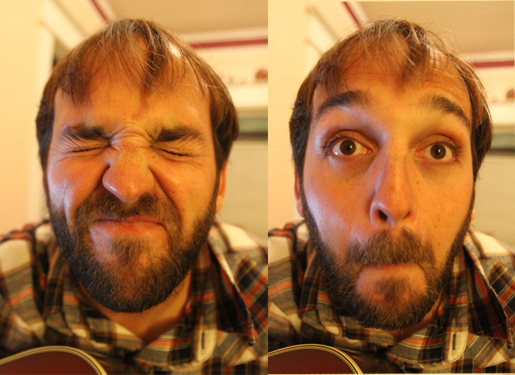 But while I’m avoiding manual labor, I figured it was about time I give Tovin his blog debut. 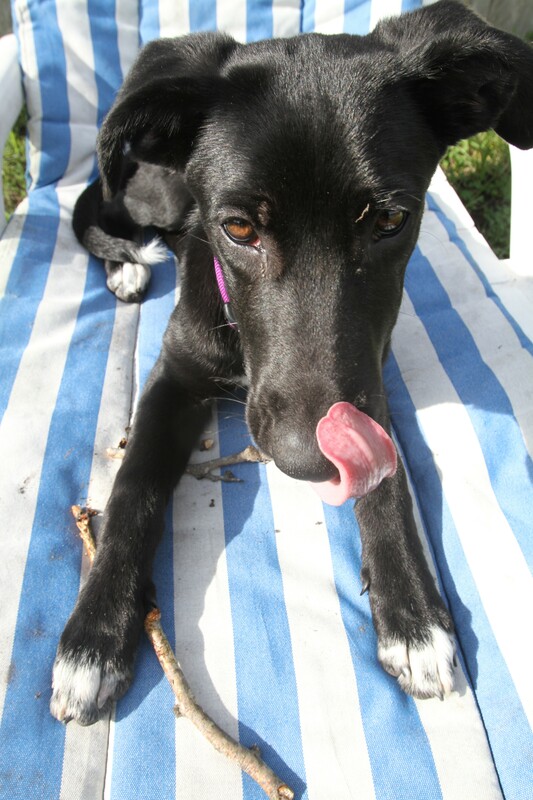 These photos date back to this fall in Santa Cruz, California, right after we adopted our fabulous lab/border collie/muttface, Samba. At this point, we were probably still calling her Puppy X. Which is a pretty good dog name, until people start cooing and asking what your adorable puppy is called. Er, uh, she doesn’t have a name yet. We went to the vet today and Samba (aka La Bamba, Sams, Sambabamba, SushiSamba, SambaRock) has put on nine pounds in the last two months. She’s also finally mange-free. Woo hoo! No more baldy dog and no more bacon-flavored liquid medicine. We took her to the dog park to celebrate where she did this fake-out fetch thing where she chases the toy, sniffs it and then immediately gets distracted and wanders off leaving us to fetch whatever object we’ve been tossing around the park. She’s an urban pup. Way better at parking lot fetch. 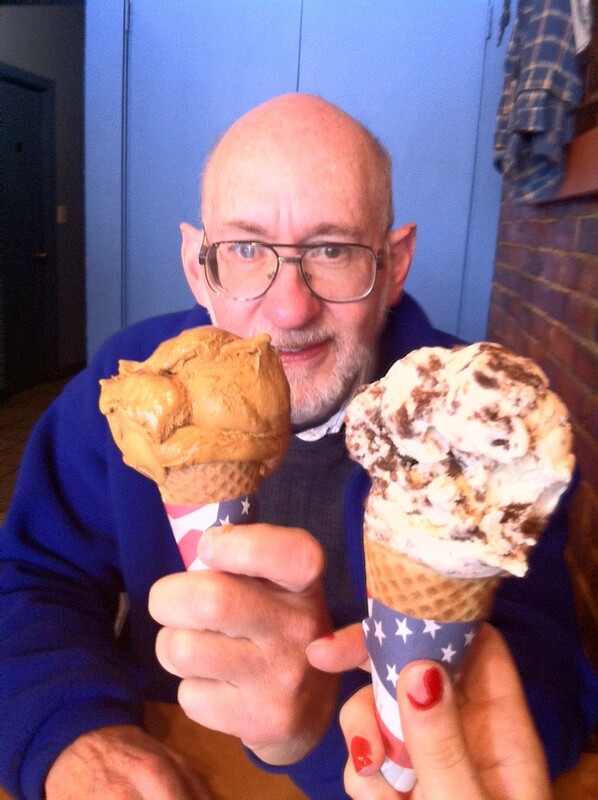 Dad with burnt caramel and goat cheese brownie ice cream cones from Toscanini's. It’s something I’ve thought about myself recently—the curious concept of home and what it means when you’ve lived somewhere long enough to have just the twitching beginning of roots, but the people you love the most are still miles and miles away. Is home where the heart is? Where the boyfriend is? Or where the sweet red couch I bought on Craigslist is? And when those are three different places, is anywhere really home? I used to boast about how I felt more me the moment the plane touched down in Boston. I walked faster, absorbed more, felt more alive in the city that I’d grown up in but had left before I had the chance to fully appreciate it as an adult. This time, I exited the plane into an unfamiliar terminal (E) and stumbled to the curb in an all-day travel stupor. I spent most of the weekend in Kendall Square, Cambridge, a neighborhood I’ve never known well and still don’t. I had to use Google Maps to choose a route for my run and even ask for directions while driving friends home. It was the first time that “home” has felt less than, well, homey. But there were moments of comfort, too, with the people who’ve always made Boston home and the places that hold deep, embedded memories that I forget about until they’re right in front of me again. White Mountain Creamery still smells like sweet, rich, freshly churned ice cream; the North End still vibrates with cranky townies, wide-eyed tourists and the hungry energy of waiters hoping to make a buck. When my mom popped the question, the answer I gave surprised us both: Vegas. 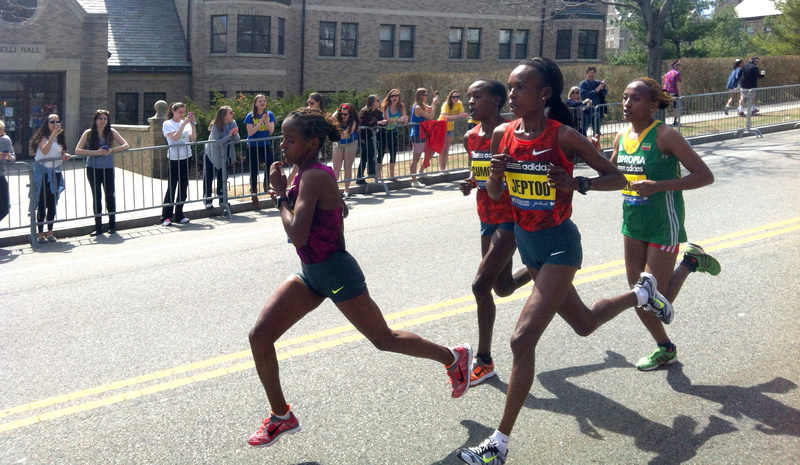 Four days later, Boston may not have taken over, but she was definitely back in the race. There are certain things that will always remind me of home. Not of Boston, my hometown, but of my parents’ actual, physical house. Perpetually freezing in the winter, cluttered with old New Yorkers, and with a window-side radiator that makes the most excellent seat. The other thing you should know about my parents’ place is that there is lots of Hannah Frank art on the walls. Hannah Frank was an artist from Glasgow, Scotland who lived from 1908 to 2008. 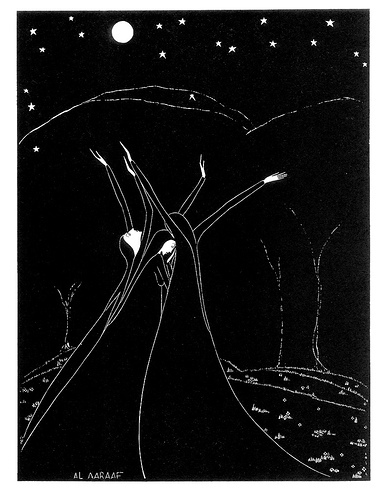 She saw plenty in her day, and created these simple, gorgeous, somewhat haunting black and white drawings. My parents took a liking to them, and over the years, they’ve grown on me too. So when my birthday came around this year about two months after moving into a new apartment with depressingly naked walls, I figured I’d put in a request for a Hannah Frank print. I picked out “Moon Ballet,” the image at the top of this post. Her stuff’s not for everyone, of course, not much art is. But give it a few minutes and see if it doesn’t grow on you. And if it doesn’t, well, then let’s hope you’re not getting a copy for your birthday, too.